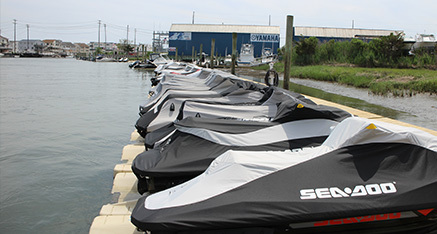 Here at Minmar Marine we rent Wave Runner EZ-Docks to make life easy. No more trailering, winching, and no more boat ramp fees! EZ Docks are the simplest drive-on, push-off method of wave runner docking! Looking to rent a wave runner dock?